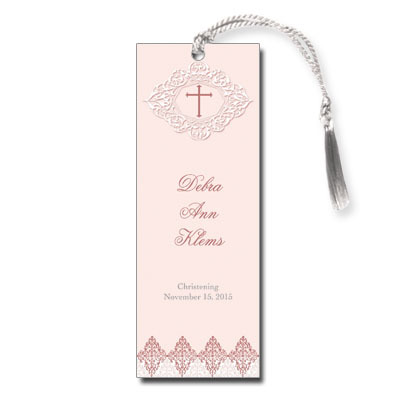 Combining soft pinks with elegant design elements, this bookmark is a perfect way to commemorate this special event. A lace-lake graphic at the top has a faux-embossed look and frames a pink cross. Comes with white satin tassels; assembly is required. Measures 2x5.5.